Jeffrey: Food, something many of us take for granted. We open our cupboards and refrigerators it’s there. We go to the grocery store or open markets or even our own backyards and may find it in abundance. But now food has become a scarce commodity to many in some countries. Drought is a contributing factor as we talked about before but increasingly cutting off people’s access to food supplies is being used as a weapon of war. Jeffrey: In an interview with Al-Jazeera News, Executive Director of The World Peace Foundation and Author of Mass Starvation the History and Future of Famine, Mr. Alex de Waal called Yemen the “Famine Crime of our generation.” He said there has been no international response to the plight of the Yeminis people up to this point. And what is taking place is quote, “…the destruction of an entire country through gradual degradation of its economic infrastructure, its social welfare infrastructure, the depravation of food.” But Caton, isn’t there a ‘red line’ that countries have when it comes to war tactics like this starvation? Caton: Sure. Many countries have those ‘red lines’ and they have their doctrine in place to basically protect humanity. For instance the use of chemical weapons in other countries. That opens up an outcry for investigations of war crimes. However when it comes to famine de Waal says “…it has not been seen as a ‘red line’. So nothing there governing that. This he says is due largely to the fact that world powers like the United Kingdom, and the United States, have a history of using the same strategies of blockade and starvation in their military tactics. So they are not willing to call it a war crime, but we can see it clearly is a crime against humanity. Caton: Not only has the blockade cut off food to the Yemenis, but also much needed aid to hospitals including medicine for fevers, painkillers, even oxygen. If that wasn’t enough the water supplies have become contaminated in many areas which has created a cholera epidemic. The 19th Century disease is spreading so fast that there are over 5,000 cases of cholera reported daily. Saddest of all over 40% of those are children. Jeffrey: And now they’re saying that there is no place in the country not affected with the cholera disease. Caton: While we see there isn’t any one political entity taking charge to help the situation in the Yemini town of Hudaida mass protests are underway. Demonstrators have taken to marching through the streets accusing Riyadh and its coalition of genocide. Caton: So what was meant to be a straight forward appeals judgement quickly turned to confusion. Seconds after the judges upheld Bosnian Croat military leader Slobadan Praiyak’s 20 year sentence, the military leader stood up and said, “Judges, Slobodan Praijak is not a war criminal! I reject your verdict with scorn”. As one judge cried out, “Stop please, please don’t!” The military leader can be seen downing a shot of poison. The court proceedings were halted as emergency workers were called in. However his death was announced on Croatian television. Jeffrey: Well despite efforts to block North Korean strides towards developing more advanced weaponry the nation still continues to push forward, and new missile tests this week have caused a new round of condemnation by the US and other nations. YPN’s Larry McGee has our report…Larry. America is said to be urging all nations to adopt measures that will prevent the DPRK from buying and selling- in addition to also insisting that Beijing cut off its oil supply. China’s response was that North Korea should comply with all relevant Security Council resolutions, and cease actions that escalate tensions on the Korean peninsula. The DPRK itself is said to be raising its arms in victory, after its latest test the embattled nation is allegedly reporting that its rocket weaponry system development is complete, and it is now finally a nuclear state. The response of other UN members such as France, is that in a matter of months the North Korean threat has shifted from regional to global. Most noteworthy however; is the tussle in the Assembly between the US, and China and Russia. China has continued to rebuff American demands to cut off oil to the North, and along with Moscow, is calling instead for a ‘freeze for freeze’ scenario, where North Korea would slow its missile program, if the US and South Korea would lower their military posture on the peninsula. America has rejected that proposal strongly, and is slated, according to reports, to embark upon more joint exercises with South Korea this week- North Korea has stated, that the drills are a rehearsal for war. 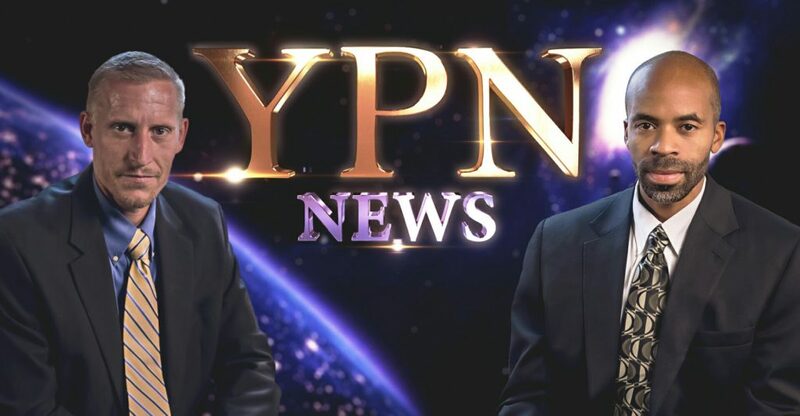 For YPN News I’m Larry McGee. Caton, Jeff, back to you. Caton: Well, the Niger government has given the U.S. permission to use drones in the country to target terrorist activity. According to RT a leaked memo shows the deal between the pentagon and the government of Niger calling for the arming of surveillance drones operating from a local airbase along with additional troop deployment. The operation will support long-term strategic partnership between the U.S. and Niger, as well as the ongoing effort to counter violent extremism throughout the region. Jeffrey: Since 9-11 the U.S. has used these UAV’s to drop bombs on countries like Afghanistan, Pakistan, Yemen and Somalia. U.S. drone strikes have killed an estimated 1,500 + civilian and the number of strike nearly 5,000. Lawrence Freeman an African affairs analyst said that West African countries can be put under a lot of pressure by various western partners. U.S. drone and troop build-up will cause internal problems. This is the first time that armed drones will be flying so this is a big problem for the Niger government and all of Africa for allowing the U.S. to carry out these types of military attacks. Caton: He continued, the strategy will not work without a larger strategic plan and the African countries are being pressured to allow a larger military build-up and drones. And he said, it’s not going to solve the problem. Which war never does; more drones, more weapons never does solve the problem. Jeffrey: A historic secret meeting between Israel and the Saudi Arabia’s crown prince has just gone down recently. The rumors of this report is coming from the Arab media, but the evidence of their diplomatic relations supports it, but of course, either country won’t just come out and say such a thing took place. Even after the crown prince reportedly arrived in Israel, Saudi Arabia tried to play it off saying Qatar sent people. If it was the Saudi prince this is a big game changer as the move could signal an important agreement, actually a regional ally for Israel. Caton: The two countries have had no previous relations in fact the Saudis have heavily aligned themselves with the Palestinians and have push for the withdrawal of the Israelis from the west bank. The Arab world has voiced its criticism of the alleged meeting with Prime Minister Netanyahu himself and discussing security ties between the two countries. There has always been speculation of secret ties between Israel and Saudi Arabia over isolated economic and military operations, a visit from the crown prince could signal an upgrade is already underway. Jeffrey: Well the Dow crossed 23,000 points for the first time ever. This despite a terror attack in London and the NK launching a missile test again. Jeremy Siegel a professor of finance at the Wharton school said that he thinks the Dow will hit 24,000. He said we have a lot of gains that are going to be important. We’re going to see the tax cut, the fed choice, the employment report Friday and the Fed meeting Wednesday. He said that he has never seen a week with this many earth shattering economic events as we have this week. So they are really looking for the gains to come forth to reach that 24,000. Caton: Yep, fill those pockets. In Washington DC, just moments after Michael Flynn pleaded guilty, NBC news released information from two sources familiar with the matter stating: Jared Kushner, a very senior member of the presidential transition team mentioned in a statement of offense as speaking to Michael Flynn on December 22nd about the U.N. resolution regarding Israel. This of course according to analyst puts Jared Kushner in the line of plotting with the Russians about diplomacy goals with the U.N. and raises the question about how high these orders came. Jeffrey: For Jared Kushner who is a close confidant to the president, it raises questions as whether he was speaking on behalf of the president and raises question regarding criminal exposure regarding the underlying acts. Now according to Ari Melber, the host of MSNBC’s, The Beat, that means that Mike Flynn was lying to the FBI about his dealings with Russia for certain goals. Caton: Those goals being number one, easing the sanction put in place by the Obama administration over Russian meddling and number two goals that regarded Middle East diplomacy at the U.N. including direct contact with Russia. So that’s dealing with those areas in the Middle East, which we know that Russia is heavily involved with that with Syria and some other operations there and so we’re seeing a lot of these things come to light with these proceedings. Caton: Well as you can see the nations are strategically aligning themselves politically to achieve their own goals under the pretense of bringing peace. Starving nations, threats of war and building up military forces will never bring mankind the joyous and peaceful life they desire. But there is a way to peace. For many years Yisrayl Hawkins has been teaching that way to peace, in fact he’s dedicated his entire life’s works to warning mankind of what their bringing upon themselves along with the peaceful solution to turn it around. Caton: Although the information is free, what it can produce in your life is priceless. Contact The House of Yahweh today to find out more information and when you do don’t forget to request your free copies of the Prophetic Word Magazine and the monthly Newsletter. Here’s how. And lastly we’d like to remind you of two excellent Bible study tools on the market absolutely free: the Yisrayl Says Program and the Ask Yisrayl Program.